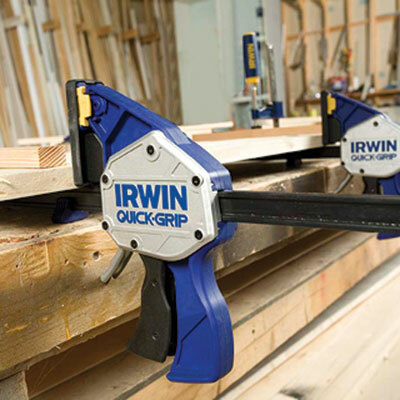 I use speedy bar clamps a lot, especially now that some, like the Irwin QUICK-GRIP XP, are capable of exerting enough pressure to be used in many woodworking tasks. I even use the longer twenty-four inch ones for gluing up small panels in preference to using sash cramps. 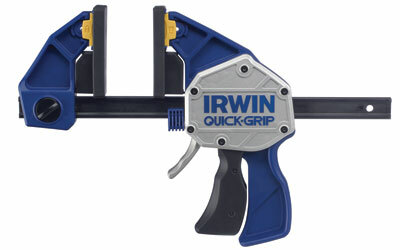 But as ever, things move on, and Irwin have just launched a couple of newer versions of the XP clamps - the Medium Duty SL300 and the new improved QUICK-GRIP XP. I use this type of clamp all the time so I very quickly incorporated them into my work. The new XP version I liked immediately as the parallel jaw really helped the clamping action I needed when gluing up boards and panels. 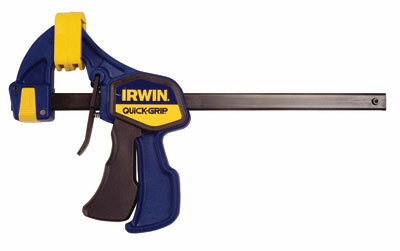 It has a smooth, progressive trigger action and quickly exerts enough pressure for most jobs. The quality of the heads and bars is very good and they are obviously well put together. On the SL300, an attempt has been made to produce a lighter duty clamp at a more reasonable price, so some corners have been cut. The heads and bars have been scaled down in size and strength and don't seem to work as smoothly as the XP version. The bars seem strong enough though, and don't bend or distort under pressure. The alloy release trigger from the XP has been replaced by a bent steel one and I think it doesn't feel as comfortable nor work as well. 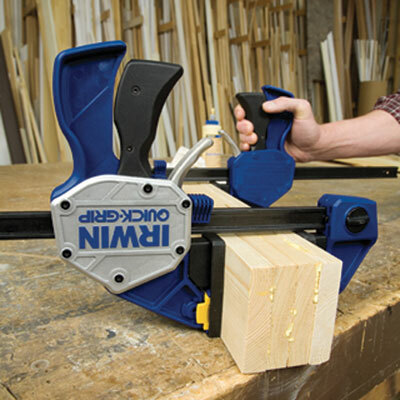 However, it is no slouch in the pressure department, and will easily clamp up small panels and boards when doing a glue-up. 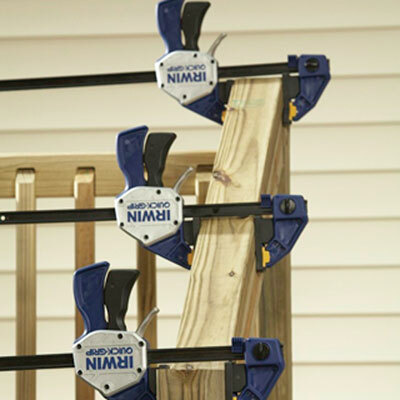 I have been spoilt using my XP clamps and like them best, but the newer SL300 version will still cut it on the clamping front and will certainly be significantly cheaper. Compared to the prices of even small sash cramps they are good value and probably a good deal more versatile too. Swivel heads add a bit of value as well. "I have been spoilt using my XP clamps"